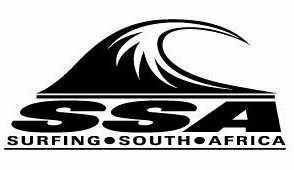 Luke Thomson (Durban) produced the standout performance for South Africa in solid overhead waves on Day 4 of the VISSLA ISA World Junior Surfing Championship at Huntington Beach in California on Tuesday. Competing in the U16 boys Repecharge Round 2, the 14-year-old from the Durban beachfront found the best waves in his heat and rode them with power, speed and flow to earn scores of 7.33 and 7.93 (each out of 10) on his two counting rides. His heat total of 15.26 was the second highest of the day. Not far behind Thompson was fellow Durbanite Tide-Lee Ireland who also reveled in the conditions and recorded a heat winning tally of 14.17 in his U16 boys Repecharge match-up. Both South Africans advanced to the next round in the world’s biggest junior surfing event. Kayla Nogueira (uMhlanga) kept her status in the U16 girls Main Event stream on track with a gutsy runner-up placing behind heat winner Shino Matsuda (Japan). Nogueira’s scores of 6.0 and 4.73 left her less than half-a-point behind the Matsuda as the pair advanced to Round 3. Earlier Ceara Knight (Scarborough) fell just short of second place in her U16 girls’ heat, finishing a miniscule 0.17 of a point behind Brie Bennett (New Zealand) in third place, which dropped the Capetonian into the Repecharge rounds. Tayla de Coning (East London) had no problem in winning her first Repecharge round heat in the U18 girls division and will be up against opponents from Brazil, England and Germany in Round 2. Bryce du Preez (East London) posted comfortable victories in both his U18 Boys Repercharge Round 1 and Round 2 heats, racking up heat totals of 9.67 and 12.54 which left his nearest rivals needing to record the highest single ride score in each heat to overtake him. The team’s only setback came in the last heat to run in the U18 boys repecharge Round 2 where Angelo Faulkner (Jeffreys Bay) accumulated scores of 5.53 and 3.60 but was left needing a 4.92 to climb into second place when the siren sounded to end the frenzied 15 minute encounter. Faulkner is the South African first team member to be eliminated from the event, placing 65th overall in the U18 boys division and contributing 160 points to the team’s points tally. That result sees South Africa occupy 11th place out of the 44 nations in the provisional rankings, with the top 10 teams still having all 12 of their team members in contention. Wednesday’s schedule includes Main Event Round 3 for all four divisions on the main podium, where the action is webcast live, and will feature South Africans Luke Slijpen (U18 boys), Zoe Steyn (U18 girls), Mitch du Preez (U16 boys) and Kayla Nogueira (U16 girls). The second podium will run Repecharge stream heats including the balance of the U18 boys Round 2, followed by U18 and U16 girls Round 2 and will finish the day with the U18 boys Round 3. The waves are forecast to decrease in size during the day, but remain in the head-high range, with light offshore winds in the morning, trending onshore during the afternoon.